Discussion in 'Lasershow Designer BEYOND' started by base851, Oct 26, 2017. So.... I managed to dump a beer into my APC40. Don't do that. 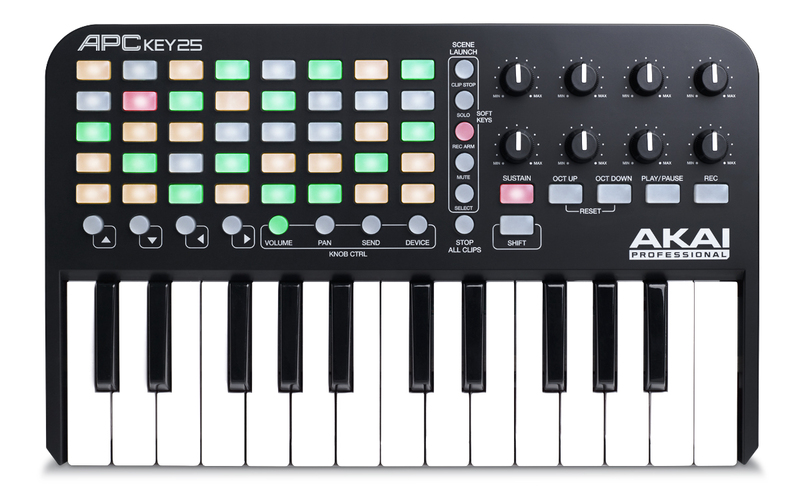 While I was shopping for a replacement, I happened across an APC Key25 which looked like exactly what I was looking for. The APC40 is great, but it's a little bit TOO big to fit in a backpack. This has the 40 button grid and a nice clean control interface. I'm currently working up a Pangoscript control script, I'll post it here when it's working right. Once you exported the midi template to your desktop, you can also publish it to the pangolin cloud!. Just use the "publish to cloud" tool, and you will be able to see it online made by you. Awesome! I'm going to put a PDF together showing each control's hex identifier as well as which functions I mapped to what. Then people can tweak accordingly.